Stephen is the Marketing Assistant for Incremental Business. He is in charge of website development, content creation, social media campaigns, and client database development. In 2016, video content will be a clear winner. So it’s time to start spicing up your social media feeds and websites with videos that will captivate your audience and encourage them to engage. Adding a video to your homepage will not only be eye catching to your visitors, but it will also decrease your bounce rate and increase the amount of time visitors stay on your site. But it’s not always easy to find good quality stock videos. I went out and found a number of similar blog posts but most of them have links to very low quality sites; so I wanted to create a list of links to high quality sites. 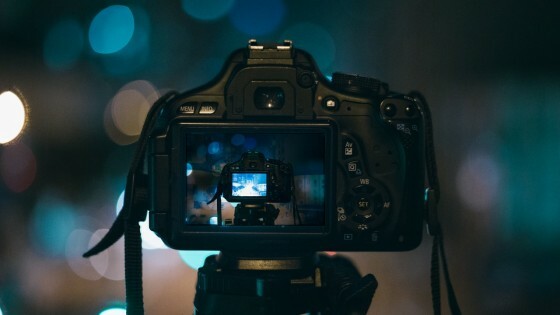 Here are 7 great sites where you can find quality free stock videos to spice up your site. One of my favorite photo sites is Pexels.com. Naturally I was very happy to find out they had a free video site as well. The great thing about Pexels for both images or videos, is that they are very high quality. There are lots of categories to choose from and all are very eye popping and sure to make your site look great. Everything on Pexels had a creative commons license and requires no attribution. Life of Vids is another great site for beautiful videos. Like Pexels, they’ve got a great selection although there is no search feature which can make it frustrating of you have something in mind. Nevertheless, browsing Life of Vids is a must if you’re looking for great stock videos and anyone can contribute by submitting their own video. There are also no copyright restrictions. If you are looking for something specific to an industry, Videvo has a number of great options. Wile they don’t cover all the bases, it is one of the most robust sites for free stock videos, complete with a great search feature to help you find what you’re looking for. However, be careful choosing a video. Most of them come with a creative commons license but some do require attribution. Vidsplay may not have as many options as some of the other sites on this list, but there are still plenty of great nuggets to choose from. They do require a back link as well and require you to purchase a license to circumvent the requirement. The search feature can also feel quite cumbersome. They’re definitely not the first site I would visit but if you’re not having any luck finding what you’re looking for, it can’t hurt to give it a try. Video Blocks have lots of great free stock videos and some paid videos as well. It does require you to sign up for an account, but considering the quantity of videos, it is well worth it. The great thing about this site is that you can pretty much find a video for just about anything. I did a trial search of a handful of niche terms and found more than one video for all of them. X Stock Video has both free and paid options. A good number of their videos are free for HD versions. Others are free for smaller sized videos but cost a couple of bucks for the full HD versions. Regardless, all are high quality. This site does lack a search feature which is very noticeable because they have over 50 pages of videos. Videezy has great free stock videos, but like many, their selection is lacking a bit. That said, their search makes finding what you’re looking for very easy and it is probably one of the best designed websites on this list. I hope this list is helpful. I tried to compile links to some of the best quality free stock videos that are professional looking for any business.